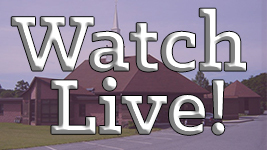 We welcome you to worship with us at The First Baptist Church of Steelton! No matter where you are on life’s journey, you are welcome here! We think that going to church should be a joyful and spirit-filled experience. All of the ministries were established to provide guidance and understanding of the power of God in our lives. We believe that God loves all of creation, and through Jesus Christ we are brought into fellowship with God and each other. We profess the love and grace of God, as found in Holy Scriptures. All are welcome here- those who believe as well as those who are seeking.